Cavelle Joseph, former president of AFETT and head of HR at Nipdec. As Breast Cancer Awareness month draws to a close JANELLE DE SOUZA looks at one critical challenge patients face–the workplace. Cancer patients have a lot to deal with – the fear of death and leaving their loved ones, the physical side effects of the treatments, the financial strain it may put on the family, as well as the emotional strain on their relationships. She said some acted as if it was contagious, while others were jealous of the "special treatment" she was getting from the boss and other co-workers. “One person said to me, 'You know you are lucky you could just wave that little pink ribbon and you can get what you want.' I said I'm proud to wear it but if I had a choice I would never have one to wave. I didn't ask for cancer, nor did I buy it." Then there were others who had to worry about their employment. One woman felt discriminated against even though she tried her best to be at work as soon as she was able after her treatments. She said one supervisor told her she should have been fired for all the sick leave she took. In the mean time, the company hired someone new and made her job redundant, possibly trying to get her to leave the job. In addition, she said the company did not seem to trust her and insisted that she see the company doctor whenever she presented a sick leave. 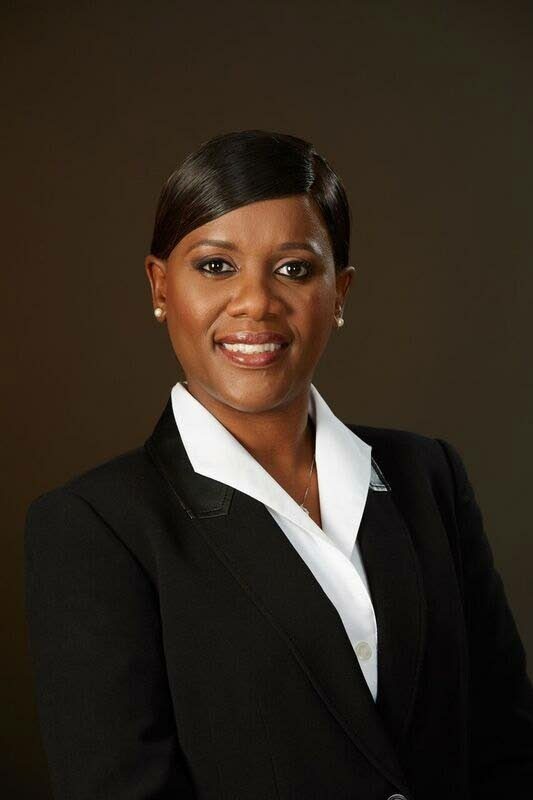 Cavelle Joseph, former president of the Association of Female Executives of TT (AFETT) and head of human resources at National Insurance Property Development Co Ltd (Nipdec), explained some of the concerns of being an employee with cancer, as well as the responsibilities of the employer. She said in some organisations there was a real threat of employees being replaced in their position or reassigned, of companies deducting their pay for the hours or days they were not able to work, and of losing their jobs. However, she said once diagnosed with cancer or a terminal illness, the employer was required to provide some kind of support. The first, and less common, was counselling through the company’s employee assistance programme to help them deal with their fears. She said a person who was diagnosed often had an emotional reaction that would filter into the workspace, and that reaction could include a difference in behaviour, energy levels, or performance levels. Employers should also allow time off for medical appointments and treatments. She acknowledged that the employer should first know how treatments were affecting the employee as some people could not function for days after while others feel well enough to return to work directly. Therefore, flexible arrangements were necessary. Employers could give them a full day off, a few hours off on the day, or allow flexi hours so that employees could attend work earlier or later than usual to accommodate their appointments. In addition, she said employers could organise a phased approach to the employee returning to work, especially if the job was physical, by getting another employee to support them, or allowing them to work less hours on their initial return. Joseph said while there would always be the issues of efficiency and productivity, employers should realise that other employees pay attention to how the employer treated with that sick person. She said most employers want employees to have a positive view of the organisation as it may affect staff morale, and some may not want to remain with an uncaring organisation. She noted that it was not often that organisations had employees with cancer so it would not cost the employer much to treat with the one employee in a thoughtful way. However, she stressed that it would cost the employer. She said most companies had regular sick leave, approximately 14 days for the year, and many had extended sick leave for critical illness. In this case, employees who could not work due to extended illnesses received their full salaries for several months, half pay for several more, and then no-pay leave. She said everyone contributed to the National Insurance Scheme (NIS), so if a company did not have extended sick leave and refused to pay an employee’s salary if extended time off was necessary, she advised them to claim for NIS. Joseph added that insurance companies paid attention to the overall performance of an organisation’s company medical plan. If there were many claims, the cost of the policy could increase, but one person with cancer would not drive up the cost of the plan. However, she said that was why it was in an employer’s interest to promote health and wellness in the workplace. She noted that her company, Nipdec, had an overall health and wellness programme, which provided free medical testing, including mental health tests for one full week, in addition to raising cancer awareness internally. However, she said such things depended on the size of the firm and how knowledgeable the employer was about health issues. Reply to "Cancer on the job"